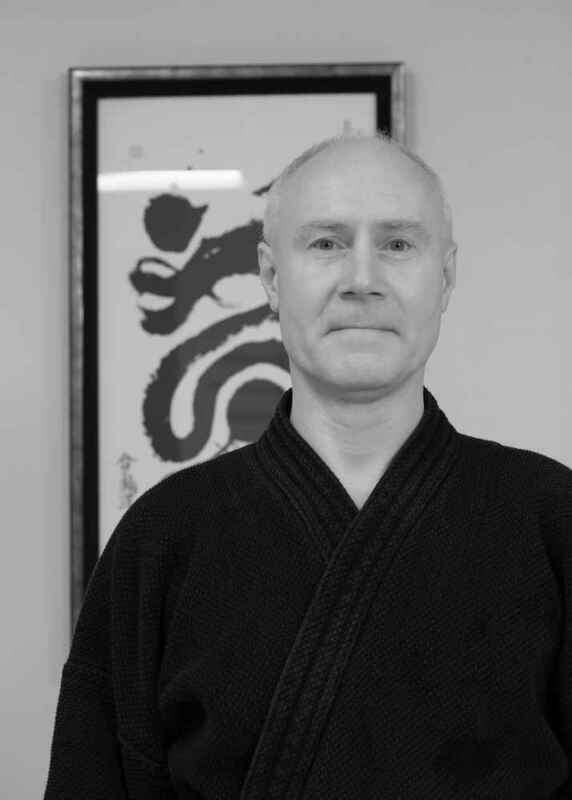 A student of Mitsugi Saotome shihan since the 1970s, Charlie Page sensei is a highly respected aikido instructor who continuously seeks to refine his skillset. 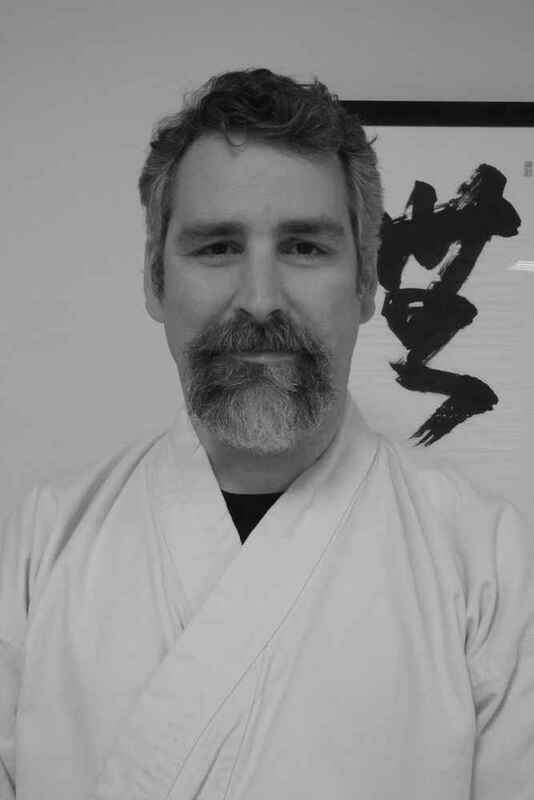 He is committed to exploring how micromovements affect the martial application of aikido. 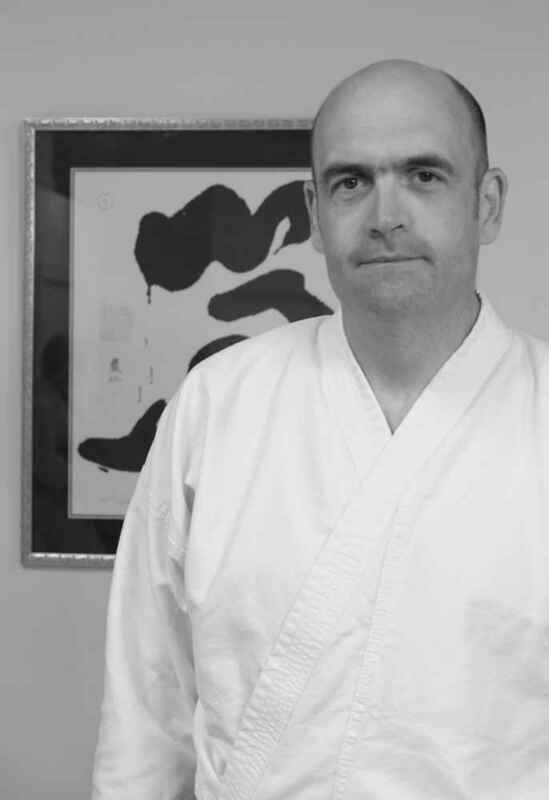 Charlie Page sensei has been awarded the Ueshiba Juku designation by Saotome shihan. 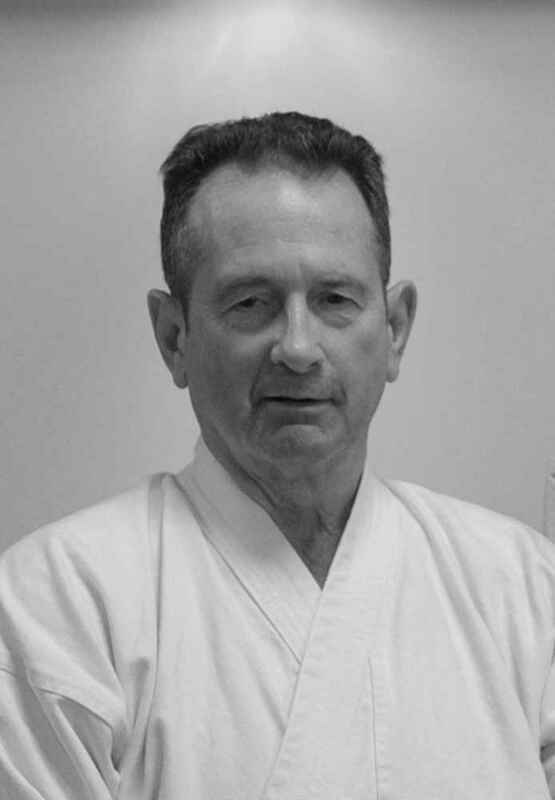 This honor identifies Charlie Page sensei as having received the principles of aikido in a direct line of succession from O-Sensei, through the teachings of Saotome shihan. Teaching Schedule: Tuesdays 7:30–8:30 p.m., Thursdays 7:30–8:30 p.m. I started Aikido in 1975 in Denver, Colorado, with Seiji Tanaka sensei of Waseda University and Tomiki Aikido. Tanaka sensei and his assistant Stan Hartz were very kind to me. When Hiroshi Ikeda sensei moved to Boulder he and Glenn Bluestone introduced me to Mitsugi Saotome sensei. 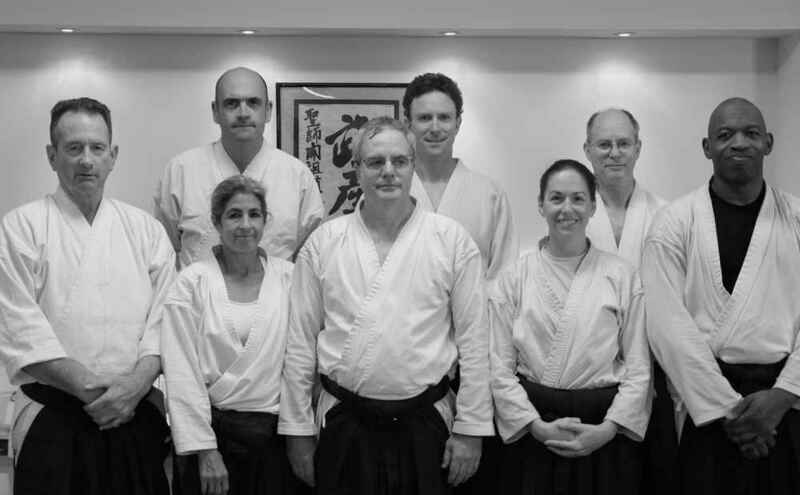 I was fortunate to have these people share their ideas about aikido with me as an aikido-crazy beginner. In 1981, I moved to Washington, D.C., to be a bicycle messenger and study with Saotome sensei. In 1988, Saotome sensei asked me to start a dojo with Charles Page in Baltimore. In addition to receiving the rank of nanadan, Chuck Weber sensei has been given the Ueshiba Juku designation by Saotome shihan. Ueshiba Juku translates as “academy of the Founder.” It recognizes that the recipient has shown exceptional leadership in transmitting the teachings of O-Sensei and is a true inheritor of the teachings of O-Sensei through Saotome shihan. David Pitard has practiced martial arts for over twenty-five years. 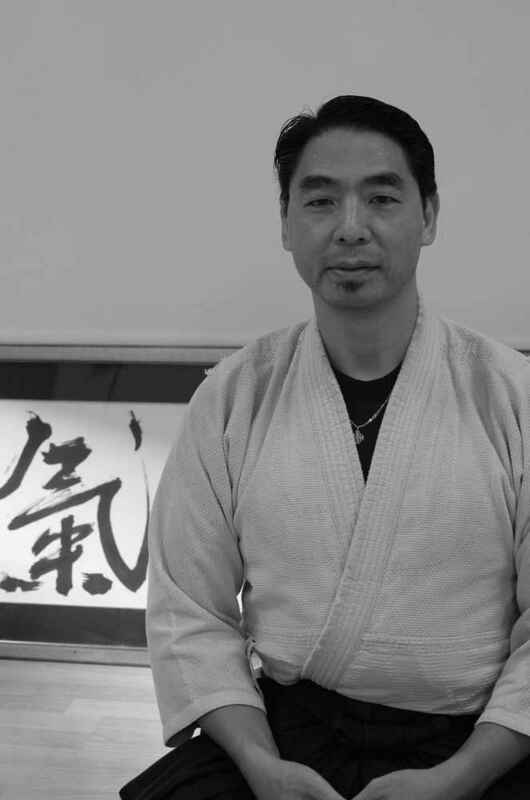 Starting aikido in the United States in the late 1980s, he moved to Japan in 1992 to further his martial arts study by enrolling at the Aikikai Hombu Dojo (world headquarters) in Tokyo. His training continued there throughout his seven years under the direction of the current doshu, Moriteru Ueshiba. After moving back to the United States, David spent five years training under Frank Doran sensei in California before making his home in Baltimore. While in Japan, David also studied the traditional Japanese weapons art Shinto Muso-ryu jo (also known as “jodo”), in which he now holds a teaching license. A student of various martial arts, Jonathan began his aikido training under Paul Kang sensei at Bond Street Dojo in New York City. All of Jonathan's promotions have been approved by Saotome shihan. 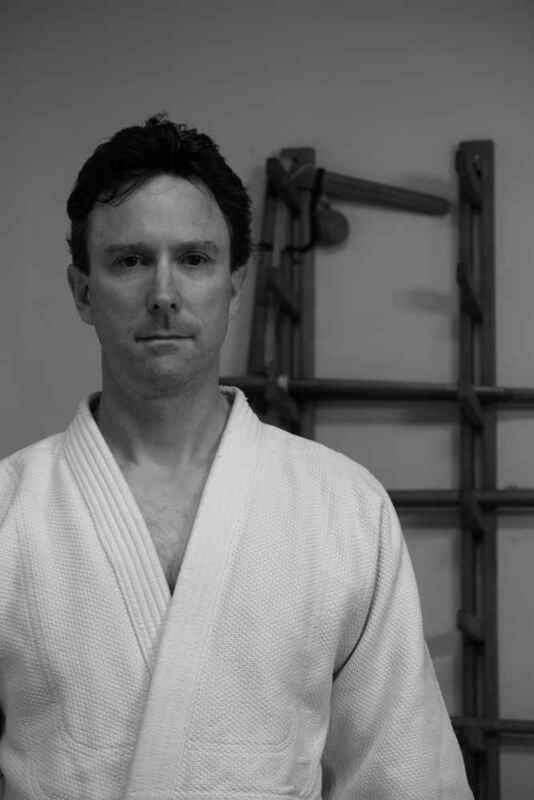 In addition to Aikido, Jonathan has studied Eizan-ryu jujutsu under Felix Berrios shihan. Jonathan has received his godan (fifth degree black belt) in the art. Brian began his training at Baltimore Aikido in high school with Charlie Page sensei. He has been a member of the dojo for more than twenty-five years and serves as president of the Baltimore Aikido board of directors. Brian continues his aikido education with seminars taught by Saotome shihan and other senior level aikido instructors. 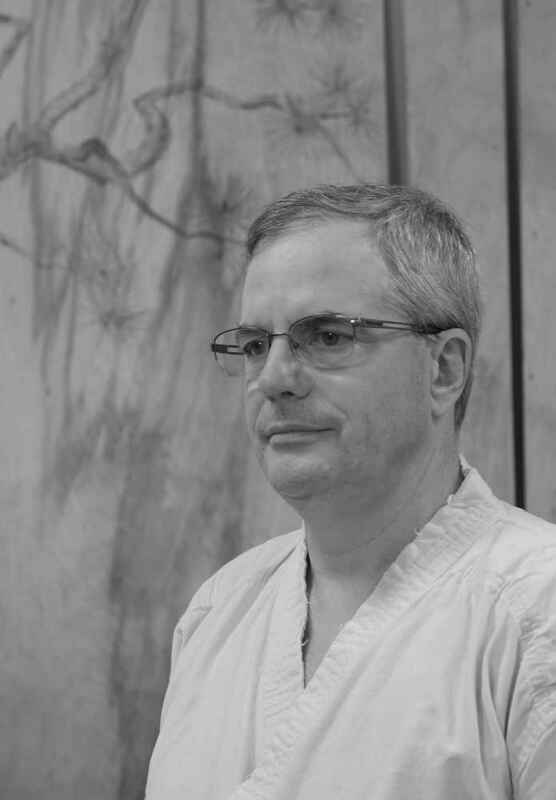 Brian's focus is on transmission of traditional aikido principles as taught to him. Teaching Schedule: Saturdays 10:15–11:15 a.m.
Flemming started martial arts practice in Denmark in 1979. Initially focused on jujutsu, his practice later broadened to include other modern and classical martial arts—such as Yoshinkan aikido, Okinawa Goju-ryu karate, Yoshin-ryu jujutsu, and Muso Jikiden Eishin-ryu and Mugai-ryu iaido—when he went to Japan for the first time and started studying under senior masters there. As a result of this type of practice, Flemming firmly believes in the concept of sogo budo (“complete martial arts”), where ideas and technical aspects of multiple martial arts are united. In addition to ranks in iaido and aikido, Flemming obtained godan in jujutsu, nidan in karate, and shodan in jodo. He is a direct student of Yoshitaro Nakatani hanshi, twelfth sōke of Mugai Ryu Iai Hyodo, from whom he received the Men no Maki in Mugai-ryu, as well as renshi rokudan under Nippon Iaido Renmei. A native of Baltimore, Erick began his martial arts training as a United States Marine. 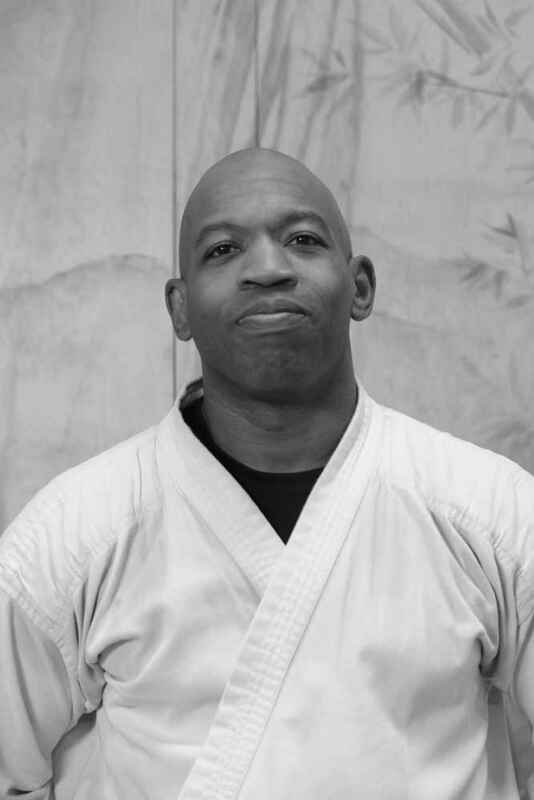 After completing his active duty service, Erick discovered aikido and has been training continuously at Baltimore Aikido for more than twenty years. All of Erick’s black belt ranks have been awarded by Saotome shihan, including the rank of sandan in 2013. Erick’s instructional interests include relaxation, martial intent, and tanto dori (knife takeaway). In addition to aikido, Erick continues to cross-train in various ground fighting systems and in eskrido, a multifaceted Filipino fighting art. Teaching Schedule: Saturdays 11:00 a.m.–12:00 p.m.
Sharon began studying aikido in Northern California in the late 1990s, including seven years at Suginami Aikikai in San Francisco, where she received the rank of shodan under Hiroshi Kato sensei in 2003. She relocated to Baltimore in 2005, and earned her nidan rank under Charlie Page sensei and Chuck Weber sensei in 2010. She earned the rank of sandan in 2018. Sharon also trains in Muay Thai and Doce Pares eskrima, a Filipino martial art. The goal of her aikido class is to make it more accessible and fun for people just beginning their practice. I started martial arts in eighth grade with karate. By the end of high school I was training five days a week in two different karate styles and competing on the weekends. Over the years I have trained in karate, jujutsu, judo, eskrido, and kenpo. I started aikido in 1999 here at Baltimore Aikido. My current interest in training is exploring the relationships between aikido weapons work and empty-hand technique, as well as maintaining practical martial application within the aikido framework. Barbara began studying aikido in 2003 at Baltimore Aikido with Charlie Page sensei and Chuck Weber sensei. She has been a member of the dojo for more than thirteen years. 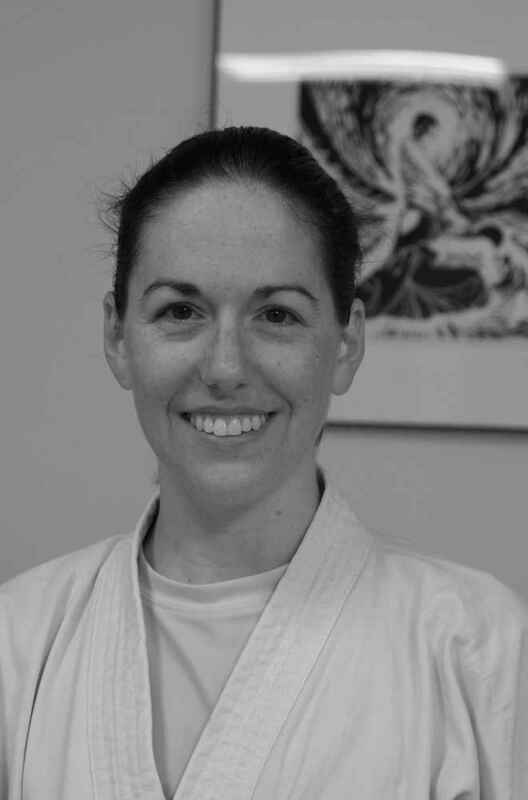 Barbara earned the rank of nidan in 2014. She continues her study of aikido with seminars taught by senior level aikido instructors. The goal of her beginners class is for the student to have fun, learn how to move his or her body, and be introduced to basic aikido techniques. 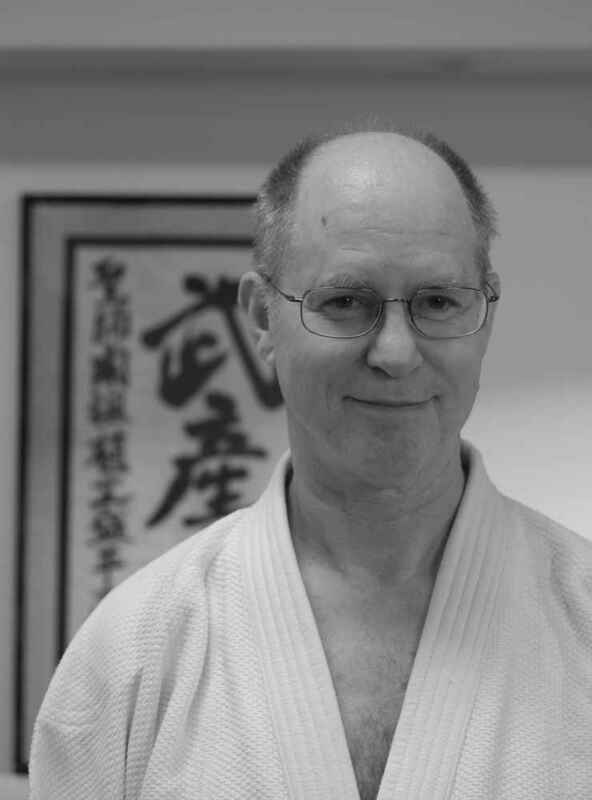 Teaching Schedule: Wednesdays 6:30–8:00 p.m.
Devin began training in aikido in 1993 and joined Baltimore Aikido in 2010, where he currently studies aikido under Chuck Weber shihan and Charlie Page shihan, Mugai-ryu iaido under Flemming Madsen sensei, and Eizan-ryu jujutsu under Jonathan Klopp sensei.